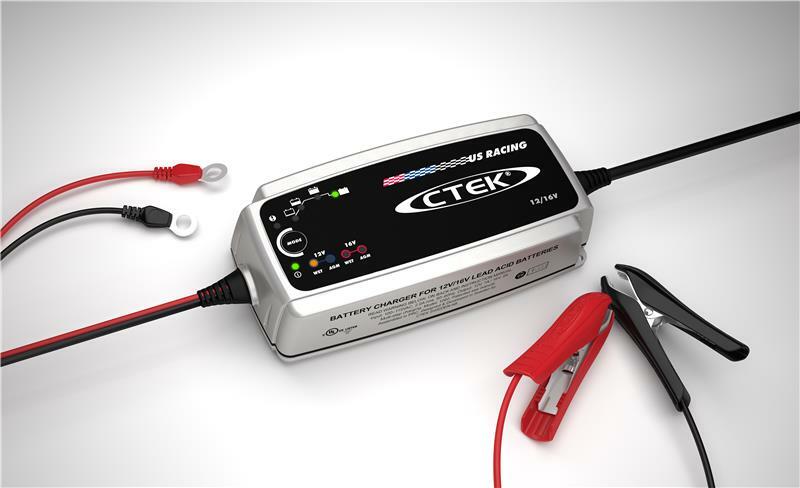 The new MURS 7 charger is fully automatic and features CTEK’s popular seven step automatic charging curve. 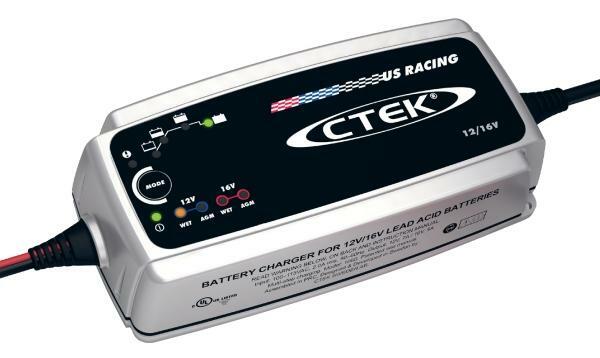 The patented CTEK charging system steps quickly and efficiently to bring the battery up to charge then automatically goes to the pulse mode of charging to maintain that charge and state of readiness. The charger will automatically shut off all power to the battery and resume charging when the battery voltage drops below a desired level. This method has proven safer, more efficient and much better for increasing battery life and performance. With this new technology, the charger can be attached to the battery for months without worry. All MURS 7 chargers will service both 12 volt and 16 volt batteries in both wet or AGM styles and have settings for 12 volt, 16 volt, wet or AGM. They work in virtually all weather, temperature and conditions and are ideal for at-track use as they are water and dust resistant, lightweight, compact and extremely durable. Every MURS 7 comes with considerable CTEK safety features built in. The new units are spark proof, short proof and reverse polarity protected. A built-in surge protector prevents damage to sensitive electronics and assures clean consistent charging power no matter how dirty the power input. Trackside power and generators are known for inconsistent power and the MURS 7 compensates for this. The MURS 7comes complete with patented CTEK Comfort Connect Eyelets and Clamps for choice of easy access, hookup and removal for charging/maintaining of battery. Users have their choice of spark free clamps or eyelets and both are included in the system. Both also offer a quick disconnects for easy attachment and removal to the charger body.